#2 – If I’m going to list my blog in my bio, I might want to actually start posting on a more regular basis. So, here we are! The cover for our first anthology – due out October 1st! The photo in the bottom left corner happens to relate to my short story, “Flesh and Blood”, which you can read when Wicked Words is released October 1st. It will be available in both paperback and kindle format through Amazon, and I will be sure to post the link as soon as it’s available. For anyone who happens to be in the Huntington, WV area though, we will be having an in-person signing and release party October 14th at Empire Books and News in the Pullman Plaza. Hope to see you there! 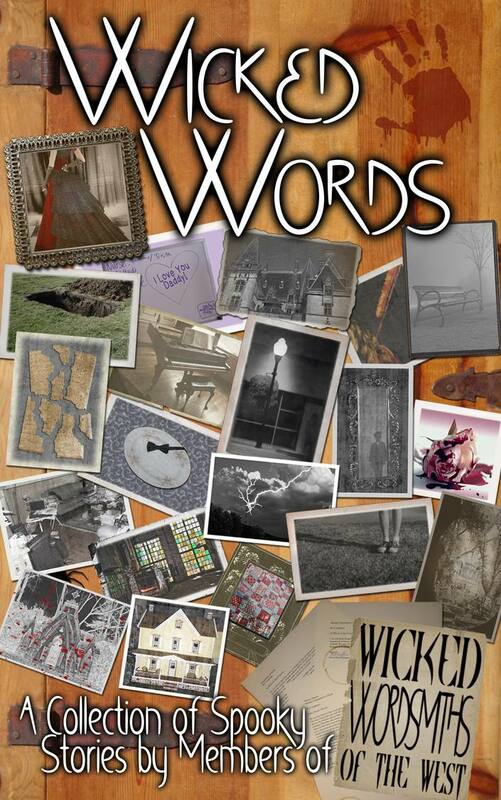 Oh, and don’t forget to like the Wicked Wordsmiths of the West page on Facebook to keep up with all of our updates! This entry was posted in Writing and tagged amwriting, anthology, author, book, halloween, horror, publishing, short story, writing. Bookmark the permalink.